Let Daisy-A-Day Florist & Gifts create something special for your wedding day! Your wedding is one of the most important days of your life. Therefore, you want it be absolutely amazing and completely unforgettable. Every aspect of the day should represent you, including the flowers. Those fresh blooms are some of the most important elements as they are seen at every stage of the day. Let Daisy-A-Day Florist & Gifts design the wedding flowers of your dreams. Daisy-A-Day Florist & Gifts designs your wedding flowers with you in mind, always. This may be the most important floral decision of your wedding. Your personal wedding flowers make a statement that accents you. Daisy-A-Day Florist & Gifts wants to make sure these flowers put the finishing touches on your day. 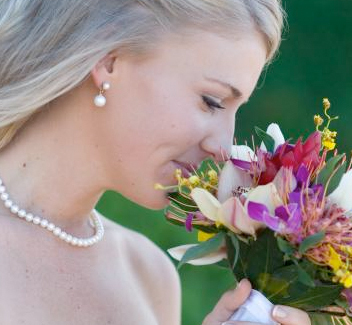 Personal flowers include your wedding bouquet, bridesmaid bouquets, groom and groomsmen boutonnieres and corsages. These flowers complete your look and help to tell your wedding day story at the same time. Therefore, they need to be absolutely perfect. Daisy-A-Day Florist & Gifts goes above and beyond while creating a flawless bridal bouquet for you. The matching bridesmaid bouquets that will accent their dresses, and even the boutonnieres make sure the groom and his groomsmen are styled just right. We want to make sure your personal wedding flowers are an added statement to your wedding day look! Flowers set the tone of your wedding. 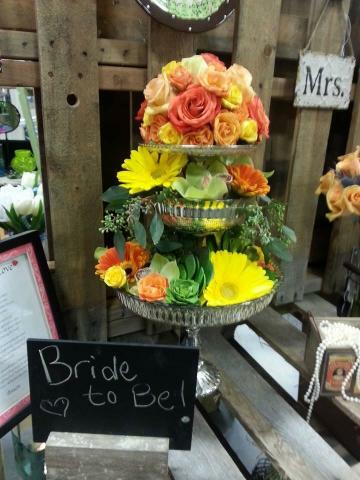 At Daisy-A-Day Florist & Gifts, we will go above and beyond for your wedding. No matter what your vision is, we will exceed your wedding flowers expectations. From trendy to traditional flowers and intimate to lavish, our full-service florist team will create the wedding reception flowers of your dreams. We'll go out of our way each and every time to make sure it is a day you'll remember for a lifetime. 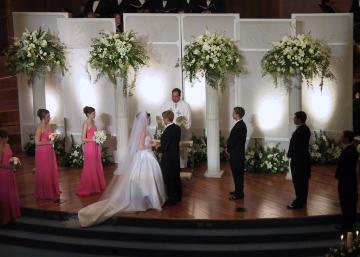 We want our flowers that we design for your reception to tell your wedding story. Daisy-A-Day Florist & Gifts creates your wedding reception like no other. 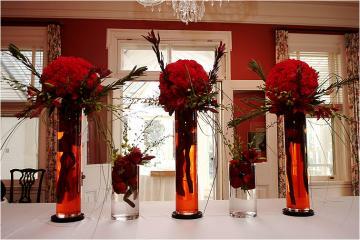 Let us do the creating of stunning reception flowers so you can relax and enjoy your day.